Fantastic Reviews! 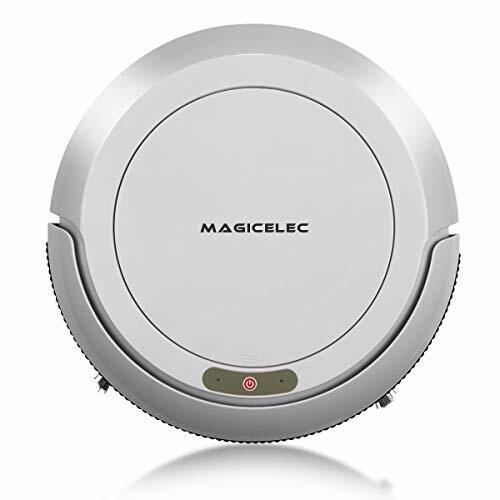 Robot Vacuum Sweeper just $48.49 SHIPPED! Use coupon code KCXNYVUS for 50% off! Clean your house with the click of a button. Versatile cleaning modes and the low-profile design facilitates cleaning under tables and chairs along with every nook and cranny. 1000 Pa of super suction, the effect of vacuuming is greatly improved, dust and stains are completely "SAY BYE BYE"
Use infrared sensors to clean the floor , ideal for cleaning the floor, corners and crannies, for example, under your sofa, couch or areas that are hardly reached.